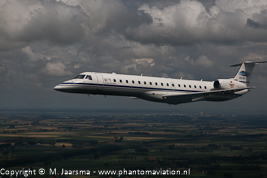 Belgian Air Component ERJ-135LR during rehearsal 21 July flypast. Belgian airspace July 17, 2009. 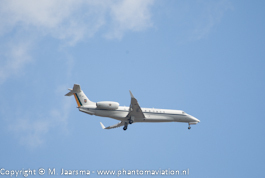 Brazilian Air Force ERJ-135BJ, designated VC-99B, on approach to Schiphol March 23, 2014. 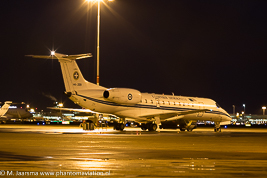 Greek Air Force ERJ-135 during a nightstop at Schiphol February 4, 2016.